The Roto Grip All-Out Show Off combines the dynamic Hotshot Core with the hybrid version of the Stoked coverstock. This coverstock is 2 parts solid and 1 part pearl and is finished with a 1500-grit polish. 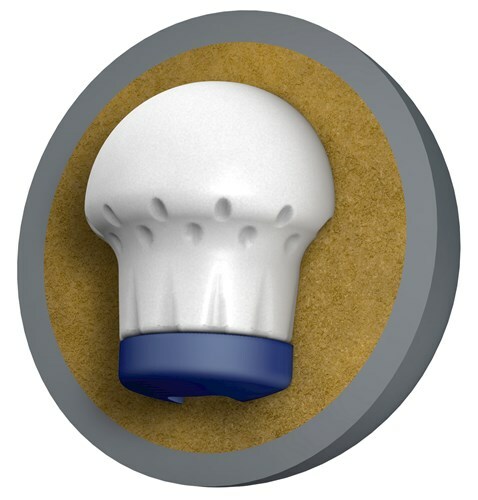 This cover combination offers easy length with exceptional stability on the backend friction. This ball was composed to take on medium lane conditions and to offer options on various patterns when too much friction might be present.. The out of the box shine can be adjusted with sanding to take on slightly heavier oil conditions. 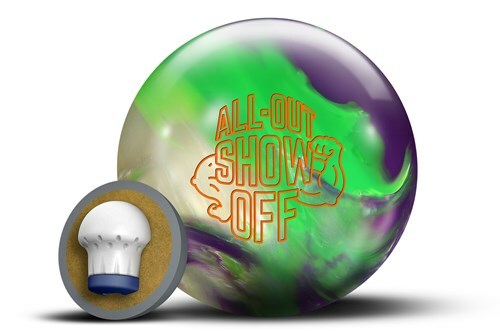 Similar Balls: Same Hook Potential, Lane Conditions & Coverstock as the Roto Grip All-Out Show Off. 5 STARTS TO ROTO-GRIP, AND BOWLING.COM FOR THE PROFFESIONAL SERVICE AND STAFF. Plan on getting a replacement before they quit making it! Due to getting older and arthritis I had to go down in weight on my bowling ball. I had been bowling down in the high 120's and sometimes 130's because my ball was too heavy. I talked to the pro shop and he said to give this a try. I am in love with this ball. I throw a fingertip and put a pretty good rotation on the ball. My first night with this ball I threw a 211, 246 and 187 (I got tired). I thought maybe it was just a coincidence well I bowled the next day and had had a 214, 190 and 194! The ball was drilled mildly aggressive. So with the lighter ball 13 pound and being able to have better control. I will be able to continue bowling for a long time to come. May even go to some tournaments! I normally throw a 14 pound ball, but due to a shoulder injury I had to go down in weight. However I still wanted a strong rear end finish. My average is 141 and the first night out I had a 167, 170 and a 160. The next night I had a 211, 246 and 187. I love this ball! I was afraid with going down in weight I might loose pins, but the way this finishes and I can control it better its been the exact opposite. My team mates told me to order another one so I have a back up if anything should happen to this one. Hello Moni! We do not have this particular ball in 8lbs. 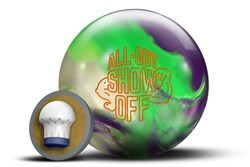 We do have other bowling balls on the site for 8lbs. 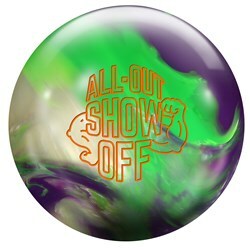 This ball will be more aggressive and stronger than the Hustin Ink and it will give you the hooking power you need. Yes, it will have more hooking potential than the Cobra. If you throw a straight ball, you will want to look at our spare balls. Our most popular spare balls are the Brunswick TZones. Is the core the same for all ball weights? The core will be the same for the 14-16lbs. This ball is meant for Medium Oiled lanes. This ball is meant for Medium Oiled lanes. You could use it on Light Oil but it would give you a different performance. There will be a generic core for the 13# ball. This should be an excellent ball for you. Hi, as of 3/26/2019, are there 15lb with 3-4” pins still available? Thanks! Due to the time it takes to produce the Roto Grip All-Out Show Off ball it will ship in immediately. We cannot ship this ball outside the United States.